All tickets for NorthSide 2014 are now sold out and a change in the line-up is also announced. For the second year in a row, NorthSide is sold out. With the last ticket to NorthSide 2013 being sold June 3rd last year, this year's NorthSide is sold out three weeks earlier. In its five years, this is the third time that NorthSide is sold out. - It's a fantastic feeling to be able to put the ”sold out!” sign in the window, especially this long before we open the doors to three days of fantastic music in Ådalen. It gives us some peace of mind in these last weeks, when we all are really busy constructing and organising the area, which will be rather different than last year, says spokesperson John Fogde. 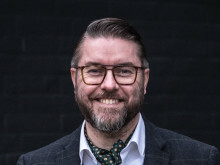 John Fogde also highlights a new area, where the festival's third stage is placed, as well as an increased focus on seating environments and atmosphere, as some of the new initiatives the guests will be able to enjoy at NorthSide 2014. 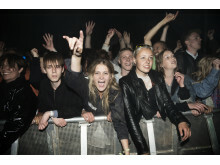 The total number of people – audience, guests, volunteers, and bands – is expected to approach 35.000 this year. The festival adds British band Bombay Bicycle Club to this year's line-up, as St. Vincent has cancelled her show at NorthSide because of unforeseen logistical problems. 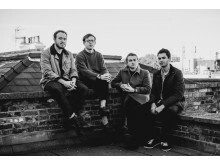 Bombay Bicycle Club played a terrific concert at NorthSide 2012, and have since then released the album ”So Long, See You Tomorrow”, which debuted at #1 on the British Album Chart in February. The album was the foundation for the band's latest concert in Store Vega, which GAFFA, in a five-star review, called ”an energy discharge of tremendous proportions, and a shot of vitamin D in the winter cold.” We are very pleased to once again be able to present Bombay Bicycle Club at NorthSide. 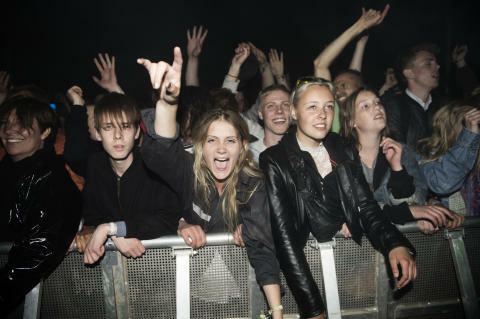 NorthSide is held in Ådalen by Aarhus 13-15th of June.